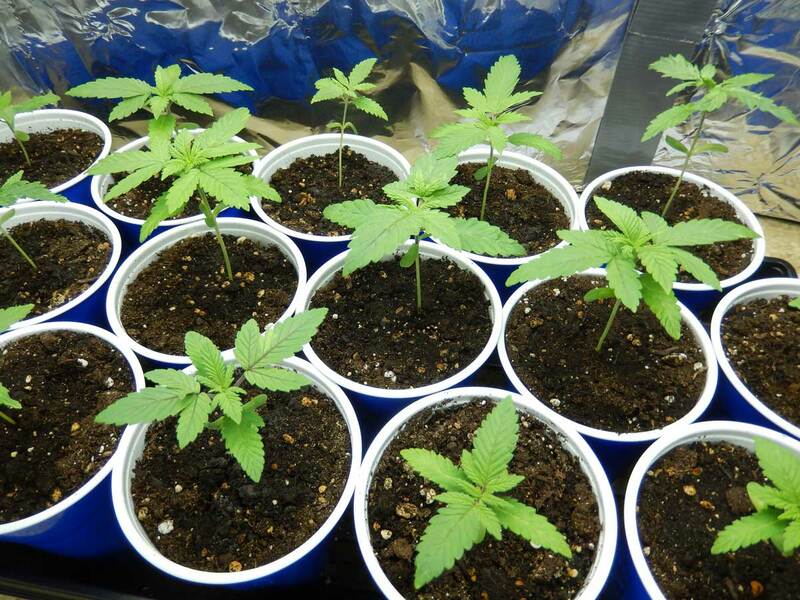 A chemical leaf test can determine the gender and future potency of cannabis seedlings as young as these! 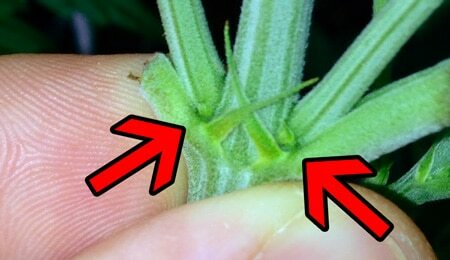 Cannabinoid Ratio Detection Testing can estimate future bud potency and THC:CBD ratios by taking small leaf samples while plants are still seedlings! There are leaf tests that can be performed on plants as soon as the plant has three sets of leaves that can definitively determine the gender of a cannabis plant! These tests are relatively cheap at $10-20 per test, but the information is invaluable to breeders. 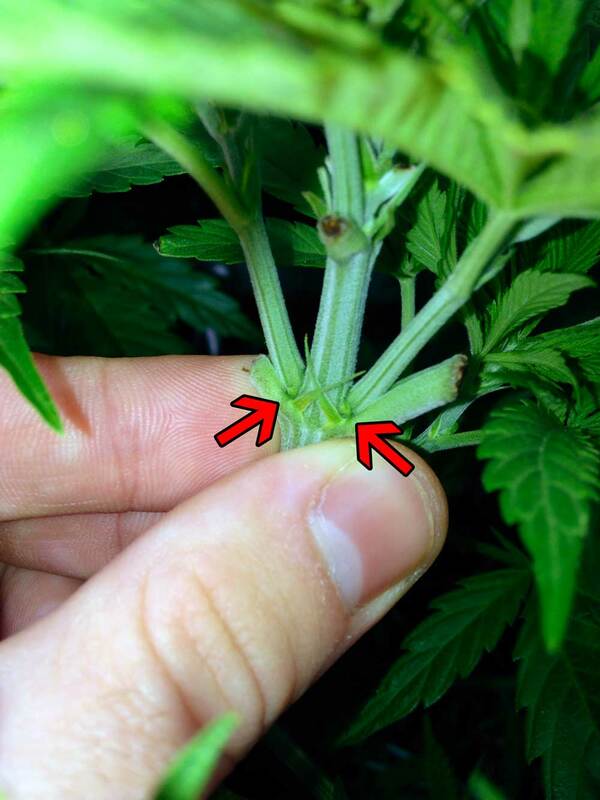 Some pre-flowers are difficult to find on the plant, or may be hard to determine, which makes a chemical test more definitive than a visual inspection for some plants. Plant samples are generally produced by punching a hole in a leaf or removing a cotyledon leaf (cotyledon leaves are the first tiny round leaves that appear on your seedling right after the seed cracks open). Using such small leaf samples prevents seedlings from being affected by the testing process. There are also tests that take leaf samples and estimate the overall THC and CBD ratios to expect at harvest! These are a little more expensive at $30-80 per test, depending on exactly what you want to test. Knowing what cannabinoid ratios to expect while plants are still seedlings is very helpful for anyone looking for a very high-CBD or high-THC cultivar! For those of us who will be determining gender with our eyes, you need to know where to look! 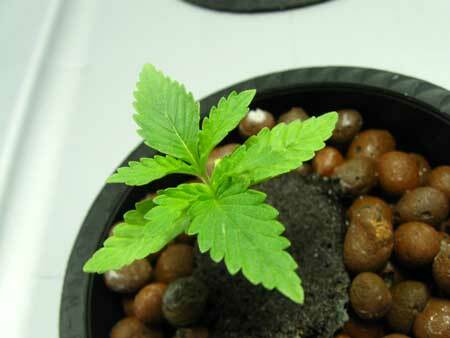 Learn How to Find Cannabis Gender on 3-6 Week Old Plants! In general, the tests are available for seedlings as young as 1-3 weeks, with the minimum age depending on the accuracy needed as well as company policies. Gender testing uses a real-time polymerase chain reaction (qPCR) test, and potency tests use Gas Chromatography with a Flame Ionization Detector (GC/FID) or High-Pressure Liquid Chromatography with a Diode Array Detector (HPLC) for testing. Waiting until week 3 to do testing can increase accuracy in some cases.